Taga combines the fun of a carrier bike with the functionality of a luxury stroller. 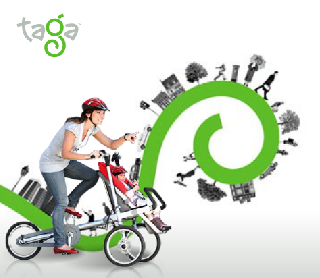 Taga enables you to spend quality time with your child while you ride with confidence and get a great workout. In seconds, Taga goes from super fun, safe and manoeuvrable bicycle to designer stroller that easily navigates shops, boards trains/underground easily and slides into lifts. The basic configuration includes the Taga's chassis + child seat + under-seat basket + sun canopy. 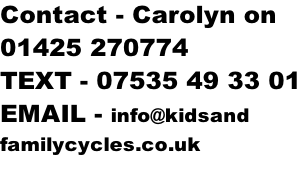 Basically, it is everything you need in order to join the Taga bike community. Taga is suitable for a child 6 months to 6 years (54lbs/25kg) in bike mode and up to 33lbs/15kg in stroller mode.